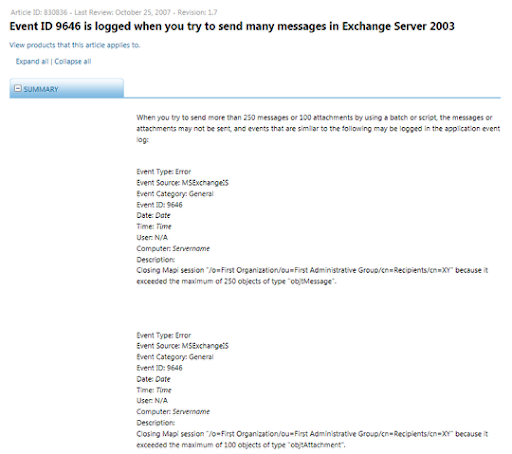 Sometimes and Outlook 2007 Client will go into a Disconnected state, the Exchange Server is working and you can connect as other users and connect via Outlook Web Access but your MAPI client just will not connect. 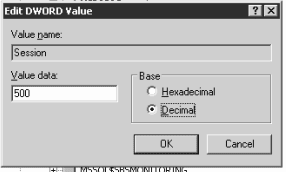 Often this is because the user has multiple connections or sessions to the Exchange Server and has gone over the default limit of 32 sessions. 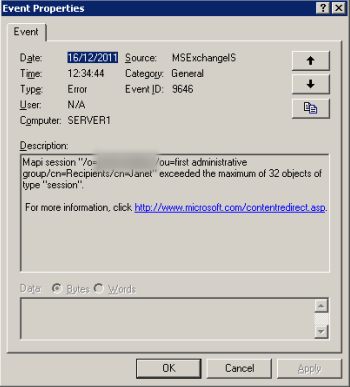 You should see in the application log of your Exchange Server the following Event Log IS 9646. This is the message that explains that the session limit has been reached. Run Regedit on your Exchange Server and browse to the key shown. Increase the session limit to 500 as this will allow for multiple MAPI, IMAP and other sessions that a user may need. Once this is done you will need to restart the Information Store Service to see the effect for the users Outlook Client.